A shooting attack on a bus in the Binyamin region Wednesday night has turned out to be far more serious than originally thought, the IDF said, as it collected evidence at the scene of the shooting on Road 60, near Beit El. Soldiers discovered eleven bullet casings in the area of the shooting, testifying to the extent of the attack and its force. B’chasdei Shamayim, only two people were lightly injured in the incident, as the shots penetrated the bus’s reinforced windows and sent glass flying. IDF forces operated in the village of Al-Bireh on Thursday morning. Palestinian Authority sources attributed the IDF activity to the army’s search for the gang that fired at an Israeli bus earlier in the day near Beit El. The IDF is also examining whether the shots were fired from homes at the edge of Ramallah that face the road. The attack was serious enough to cause Egged bus drivers to stop driving their routes on Thursday afternoon in protest over the lack of security on roads in Yehudah and Shomron. 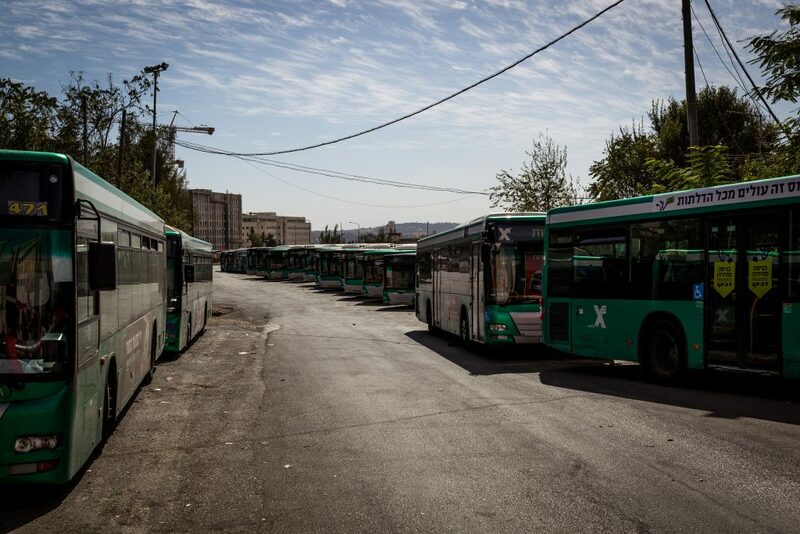 Drivers gathered for an emergency security meeting at the Egged garages in the Atarot industrial zone north of Yerushalayim, with bus service halted on nearly two dozen routes that serve Yehudah and Shomron between 2:00 and 3:30. While the drivers understood the feelings of passengers who were inconvenienced by the mini-strike Wednesday, “they have to realize that we are fighting for them as well as for us. It appears that the only thing that will awaken the authorities to action is a full-fledged strike. The expense in strengthening the defense of buses to withstand these attacks would be very small, compared to the price in human lives that would be paid if such attacks were successful,” Mashal said.